Louise Pentland is a lifestyle and beauty blogger, vlogger, author and fashion designer. Her two YouTube channels have a total of over 3.7 million subscribers and her debut book, ‘Life with a Sprinkle of Glitter’ was a Sunday Times best seller. 2017 sees her turn her hand to fiction writing with the release of her debut novel, Wilde Like Me. She is also a champion for Gender Equality and female empowerment and in 2016, she was named as a United Nations Change Ambassador for Gender Equality. I’ve always loved writing! English was my favourite subject in school, I achieved an A at GCSE despite my teacher, Ms Cramp telling me I ‘didn’t have the aptitude for the written language’. I guess my Times Number One Bestseller says differently- heh heh. In 2009 I began my blog ‘Sprinkle of Glitter’ and wrote articles on this regularly for many years. When books came into my life in 2015, it took a back seat for the author life but if ever I have a gap in books I’ll pick it up again. Now I love writing my books and was so proud to release my debut novel Wilde Like Me and that it got so much love from readers. I hope to write many more books in the future. What made you write female fiction? Pretty simply, it’s what I most love to read. You’re extremely popular on social media with over 2 million followers, how have you found social media has developed over the years? This is a massive question. In short, just like any industry, it has matured. It began is quite underground and mysterious, grew in following, people were frightened of it, traditional media began to understand and embrace it, corporations followed, now it’s a huge power for good (mostly). It allows us to connect and learn and progress and care. I’m excited for it’s future. ‘Bridget Jones Diary’ by Helen Fielding. I can’t say I’ve memorised any opening lines I’m afraid, and I couldn’t possibly pick if I had. What piece of advice would you offer to aspiring bloggers? Produce content regularly so your audience can rely on you. There’s no point trying to copy someone else because they are already the experts in their field, be your own unique self because nobody is as good at that as you are. If you were starting your own book club, what other authors would you ask to join? Luna Lovegood from Harry Potter. A book detailing how to get off the desert island with the least amount of strife. The Bible, because it would take me a really long time to get through it and I might find some good life answers. All 7 Harry Potter books for the same reason as above. Quite simply, keep writing. Write everyday even if you think it’s rubbish. Ask people to read what you write so you become accustomed to that fear of judgement and read too. I hear a lot of people wistfully say, ‘I’d love to be able to write’ and I always reply, ‘You can, just start’. My laptop and no children!! Generally my cats will jump up for a cuddle because if I’m writing, my lap isn’t full of a baby or little girl and the cats take their chances where they can! I am so excited for the release of the second book in the Robin Wilde series, called ‘Wilde About The Girl’ which is out in August. It’s my best kept secret this year because I’ve been dying to spill all the details but I won’t spoil it for you (I think my publishing team would scrap me if I did!). I can tell you though that each character progresses on their personal journey, we have life and death (woah), romance where you’d least expect it, a secret snog in a cupboard and a bunch of new characters to love or hate! It. Is. Juicy. 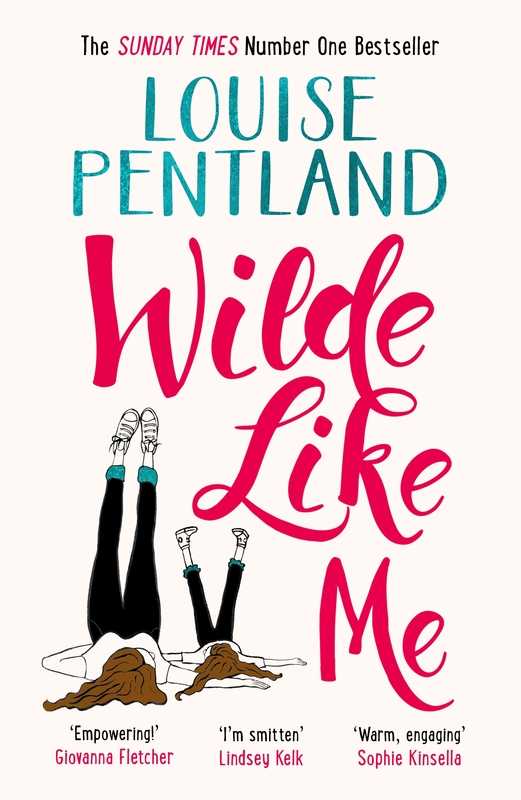 You can buy Wilde Like Me from Amazon and is available to buy from good bookshops.